(Bloomberg) -- A leading Saudi women’s rights activist faces charges that include communicating with diplomats and journalists, according to people familiar with an indictment that makes no mention of earlier statements alleging she and fellow detainees were arrested for ties to foreign intelligence. 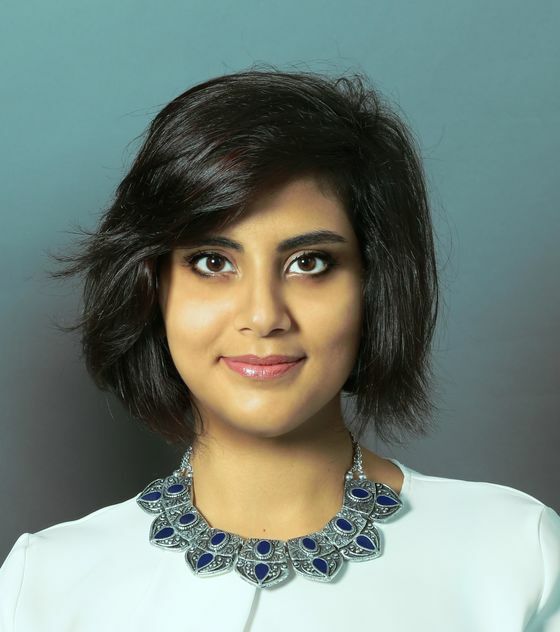 Loujain Al Hathloul, 29, is scheduled to have a second trial session in Riyadh’s criminal court on Wednesday along with nine other detained women, including retired professor Aziza Alyousef, blogger Eman Al Nafjan, historian Hatoon al-Fassi and religious scholar Rokaya Almohareb. The group is accused of “coordinated activity to undermine the security, stability and social peace of the kingdom,” the prosecutor has said. Some of the women had fought for years to end Saudi Arabia’s ban on women driving -- lifted a month after their arrest -- and spoke out against its guardianship system, which requires women to get permission from a male relative to travel or marry. Their detention last May along with male supporters sparked controversy, especially after human-rights groups said some of them were tortured. The government says they weren’t mistreated and were granted all their rights. “This is about national security. 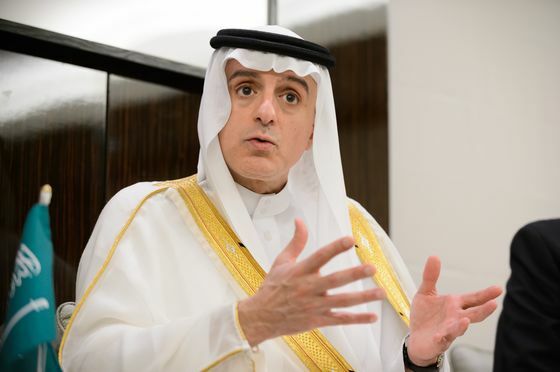 These were individuals who are accused of taking money from governments, accused of recruiting people to obtain sensitive information from the government and passing it on to hostile powers,” Adel al-Jubeir, then Saudi Arabia’s foreign ministry, said at a Council on Foreign Relations event in September. The government’s Center for International Communication didn’t immediately respond to a request for comment. The panel of judges hearing the cases rejected a request from several foreign news companies, including Bloomberg, to attend court sessions. Foreign diplomats who tried to attend on Wednesday were asked to leave the courthouse. Al Hathloul’s indictment, which hasn’t been made public, charges her with being in touch with human-rights groups, Saudi dissidents abroad, diplomats of Western nations that are Saudi allies, and foreign journalists, according to five people with knowledge of the sensitive case who asked not to be named. She’s accused of discussing women’s rights and her previous detention, among other issues. None of the charges include contact with foreign intelligence entities or taking money from foreign governments, they said. Nor do they suggest that any of the diplomats or journalists in question were spies, or state that Al Hathloul leaked secret information. The gravest charge is incitement to regime change, leveled over an allegation that she helped another activist with a social-media campaign calling for a new constitution, three of the people said. 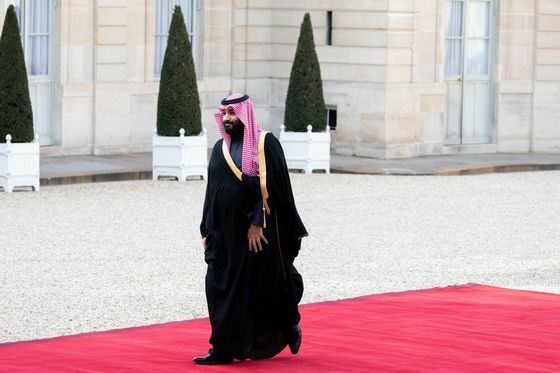 In an interview in October, 33-year-old Crown Prince Mohammed bin Salman said the women’s arrests were unrelated to their activism, saying that others who campaigned for greater rights remained free. Authorities have evidence they’re connected to foreign intelligence agencies, he said. Asked if that meant foreign diplomats and journalists, he said no. “A foreign diplomat is totally different from talking to intelligence, and getting money, and being paid money to leak,” he said. Abroad, the detained activists have become a symbol of a political crackdown led by Prince Mohammed, even as he opens up the economy and loosens social restrictions. The murder of government critic Jamal Khashoggi at the Saudi consulate in Istanbul last year drew increased international scrutiny of Saudi Arabia’s human-rights record, though authorities vehemently deny that the prince had prior knowledge of the killing. It’s not clear what charges the rest of the defendants face, but one of the people who spoke said another of those detained faces a similar indictment, without mention of intelligence ties. Most observers believe Al Hathloul’s case is the most serious. In 2014, she was detained for several months after trying to drive across the Saudi border from the United Arab Emirates, an act of protest against the driving ban. In March 2018, she was detained in Abu Dhabi and forcibly returned to Riyadh. The indictment accuses Al Hathloul of asking her contacts to pressure the kingdom, and says that she discussed her case with diplomats at a time when Prince Mohammed was visiting their countries, the people said. Last year, the prince toured several Western countries including the U.K., the U.S. and France to promote investment in Saudi Arabia. Further trial sessions are expected to be held in the coming weeks. The men arrested along with the female activists are not in court; lawyer Ibrahim Almodaimigh was released in December, while activist Mohammed Alrabea remains in custody but has not been brought to trial. Almohareb, the religious scholar, was arrested separately from the activists -- during a sweep of detentions that hit several prominent religious figures in 2017 -- but is facing trial at the same time. An academic specializing in the sayings of the Prophet Muhammad, she’s a popular conservative preacher with nearly 2 million followers on Twitter.